House Bill Number 48 known as “AN ACT” was approved by the Colorado General Assembly on March 5, 1894. 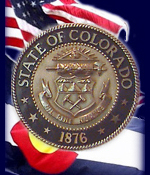 “AN ACT” established the office of the Public Trustee in each county of the State of Colorado and provides a system of checks and balances between the borrower and the lender. All deeds of trust given to secure indebtedness on real estate shall name as trustee such Public Trustee who acts as an intermediary between the borrower and the lender. In the metropolitan area, the Governor of Colorado appoints the Public Trustee of each county to a four-year term. In the remainder counties the elected Treasurer of the county is also the Public Trustee for the concurrent term. The powers and duties of the office of the Public Trustee and procedures for the operation of the office are defined in Title 38 of the Colorado Revised Statutes (C.R.S.) Volume 10. Unique among the fifty states in its public trustee/lender relationship, Colorado’s foreclosure statutes, as interpreted by the courts, have provided a reasonably quick and inexpensive process for the lienor to exercise its rights and remedies, while affording the owner of the property a fair opportunity to protect his interest in the property. For the Public Trustee to have the powers granted by statute, deeds of trust must grant such trustee an interest in the property encumbered by the Deed of Trust. Any deed of trust that names anyone other than a Public Trustee is deemed to be a mortgage for all purposes and a foreclosure on a mortgage would have to be handled judicially. The Public Trustee’s responsibility is to ensure that each interested party complies with the State statues.